These days many people understand that "Christmas" represents the continuation and remake of the very ancient observation of the winter solstice, the time of year when the sun "dies" and is "reborn" or "resurrected," as the daylight hours decrease to their shortest point and then begin to increase again. This important solstice time has been observed most notably on December 21st or 22nd in the northern hemisphere. However, as we can see from the image below, over the past several thousand years in many cultures globally the winter solstice has been celebrated at various times, from the middle or end of November to the middle of January. Mourning the decrease and celebrating the increase of the sun's life-giving light and heat. As can also be seen, this solstice transition was incorporated into mythology in numerous parts of the world, as the sun god or goddess has been represented frequently as emerging from a "cave," symbolizing the "underworld" or the place where the sun appears to go at night and during the winter months. While it is clear that winter-solstice festivals of light have extended throughout the month of December, the winter celebration most people are familiar with is "Christmas," which occurs on December 25th, the transition from "Christmas Eve" on the 24th. This date is not a mistake or calendrical misalignment; indeed, it represents the end of a three-day period or triduum observed by the ancients as the sun's "death" and entrance into the underworld, after which "he" is resurrected or reborn into the world. The ancients noticed that, for three days during this period, the sun's shadow on the sundial remained in the same place (at noon); hence, it was believed that "he" had "died." Thus, according to this ancient perception the solstice period - "solstice" meaning "sun stands still" - begins at midnight on December 21st and ends at midnight on December 24th. While hundreds of millions worldwide continue to be taught otherwise, it is well known these days in certain quarters, including among many Christian fundamentalists, that "Christmas" does not truly represent the birth of a historical Jesus Christ as the "real reason for the season." It is understood that this "Christian" celebration in actuality constitutes a remake of the birth of the sun instead, and it is contended that this "Pagan" winter-solstice festival was adopted into Christianity only in the third to fourth centuries after Christ's alleged advent. The original Greek of this scripture is: ἐκεῖνον δεῖ αὐξάνειν ἐμὲ δὲ ἐλαττοῦσθαι. "That one it is necessary to cause to grow," while the second clause reads, "Me moreover it is decreasing." That one it is necessary to grow; me moreover it is decreasing. This passage has been interpreted to mean that John the Baptist as a preacher must become less popular and lose his following, while Christ must increase in popularity, inheriting John's following. Such a contention would remain odd, however, in that the speaker is clearly discussing not followers but a single person or object, with the "me" without a doubt referring to an individual, not a group or collective. How could this strange idea apply to a person? Was John the Baptist very fat, while Jesus was too thin? Rather than representing the literal remark from a real person, this enigmatic verse is worded in such as way as to take on the appearance of mysteries - or, at least, mysterious - language or allegory. 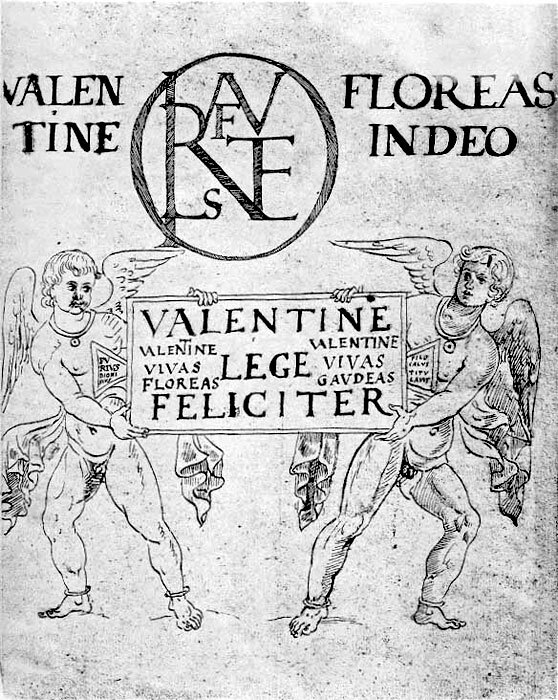 In consideration of the patent solar imagery sprinkled throughout the New Testament, along with the numerous characteristics Christ shares with solar heroes, such as the virgin birth, winter-solstice birthday, miracles of walking on water and turning water into wine, along with the transfiguration on the mount, resurrection and ascension into heaven, it is reasonable to suggest that this line represents the changing of the guard from the summer-to-winter sun (John) to the winter-to-summer sun (Jesus). This indication of Christ and the Baptist representing personifications of the winter and summer solstices is validated by their respective birth or feast days on December 25th and June 24th. The concept of the six months from summer to winter and from winter to summer representing important times can be found in Indian religion/mythology, in the doctrines and stories involving the uttarayana and dakshināyana, the six-month winter-summer and summer-winter periods beginning on the solstices. The uttarayana represents the "day of the gods," while dakshināyana symbolizes the "night of the gods." The uttaryana is said to be the period when the "gates to heaven" are open, and it is considered auspicious to die during this time, while the dakshināyana is the time when the heavenly gates are closed, and it is deemed unlucky to pass at this time. This notion of personified solstices or distinct solstitial periods also has precedence in other mythologies, such as the Egyptian, in which the gods Anubis and Osiris are said to be the personifications of the summer and winter solstices, respectively. Among other similarities, both Anubis and John are depicted as headless and as purifying or baptizing the god or godman who saves the worshipper from death and promises eternal life, leaving us to wonder whether or not John the Baptist is an Egyptian myth. "He must increase, while I must decrease" would be appropriate, in consideration of their role as personifications of the summer and winter sun and solstices. In this regard and for many other reasons, the gospel of John, in which this verse may be found (3:30), is obviously geared toward an Egyptian audience, having also its apparent provenance in Egypt, where the earliest fragments of the book were discovered. Hence, the connection between this biblical verse and the winter-summer transition becomes even more logical to assume. It would therefore seem that the writer(s) of John's gospel - which does not appear in the literary record until the end of the second century - were aware already at this time of the identification of Jesus Christ with and as the sun (above video), as they should be, since the coming messiah is specifically called "Sun of Righteousness" in the Old Testament book just before the Gospel of Matthew, Malachi (4:2). Rather than representing the birthday of a human savior of a particular ethnicity and creed, this time of the year constitutes the "birth," "rebirth" or "resurrection" of Sol Invictus, the "Unconquered Sun," whose annual journey across our sky can be celebrated worldwide as a truly unifying expression of our global family. For the past nearly 1,700 years, a significant portion of the Western world has celebrated the day of December 25th as the birth of the divine Son of God and Savior Jesus Christ. 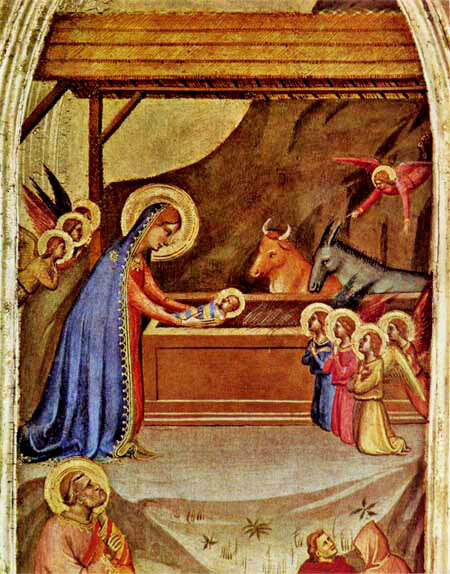 Thousands of images have been created, as well as songs, poems and other artistic endeavors, depicting the baby Jesus lying in a manger surrounded by ox and lamb, with the Virgin Mary, Joseph, angels and three Wise Men looking on in wonder at the luminous infant. This imagery, we are told, represents the very first Christmas, when the Lord of the Universe was born on this earth, on the 25th day of December in the year 1 AD/CE. But is this story true? 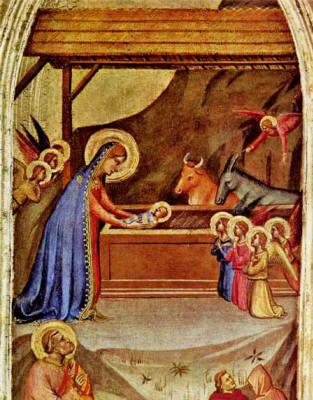 "O, how wonderfully acted Providence that on that day on which that Sun was born...Christ should be born." The tradition of "Christmas" or December 25th as the birth of Jesus Christ, the main figure of the New Testament who is believed by nearly two billion Christians worldwide to have been God in the flesh come to save mankind from its sins, is traceable to the late second to third century AD/CE. In other words, the Savior's birth was being observed at the winter solstice. December 25th as Christ's birthday makes its way into a "calendar" or chronology created in 354 AD/CE called the Calendar of Filocalus or Philocalian Calendar. 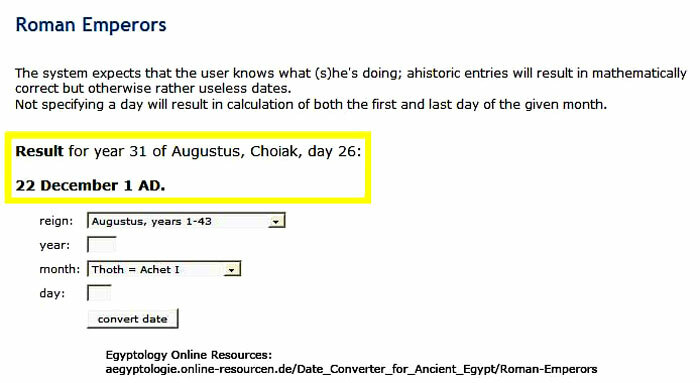 In addition to listing the 25th of December as the Natalis Invicti, which means "Birth of the Unconquered (Sun)," the Calendar also names the day as that of natus Christus in Betleem Iudeae: "Birth of Christ in Bethlehem Judea." Hence, we can see that people of the fourth century were clearly aware of the association, if not identification, of Christ with the sun, as they had been in Cyprian's time and earlier, since Jesus is claimed to be the "Sun of Righteousness" in the Old Testament book of Malachi (4:2). "But unto you that fear my name shall the Sun of righteousness arise with healing in his wings." 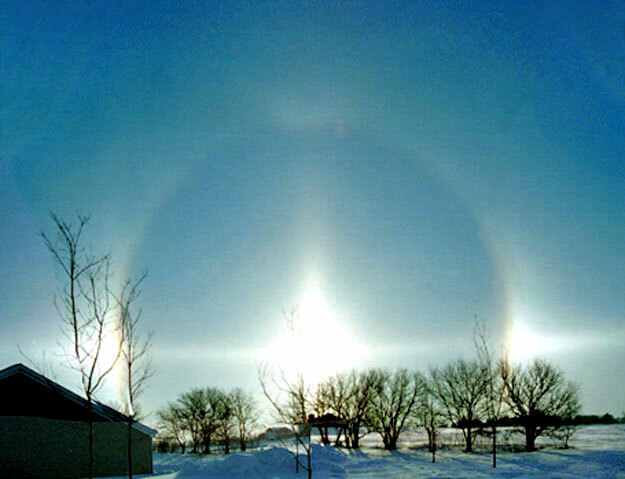 Over the past few decades, many people have come to understand that "December 25th" represents not the birthday of a "historical" savior named Jesus Christ but the time of the winter solstice in the northern hemisphere, when the day begins to become longer than the night, and the sun is said to be "born again," "renewed" or "resurrected." By the time Jesus' birth was placed at the winter solstice there had been numerous solstitial celebrations of the coming "new sun" in a wide variety of places. 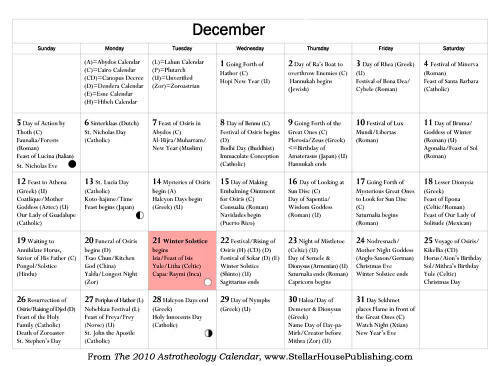 Many winter-solstice festivals can be found listed in 2010 Astrotheology Calendar, for the month of December. December is full of winter-solstice celebrations beginning in remotest antiquity. For example, the date of December 21st as the festival of the Japanese sun goddess Amaterasu represents her "coming out of the cave," a typical solar myth. Likewise noteworthy is the festival of the Egyptian baby sun god Sokar occurring on 26 Khoiak (below image), as related in the Calendar of Hathor at Dendera, corresponding at the turn of the common era to December 22nd. The longstanding ritual of Sokar being carried out of the temple on this day in an "ark" closely resembles the censored commentary by Church father Epiphanius (c. 310/320-403) concerning the Egyptians bringing forth the baby sun born of a virgin at the winter solstice. The winter-solstice celebrations were so important that at times they exceeded the one or two days of the actual solstice in the Gregorian calendar, i.e., December 21st or 22nd. Solstice celebrations therefore do not necessarily fall on the traditional time of the solstice but may occur up to several days before or after, such as is exemplified by the Roman celebration of Saturnalia, which began on December 17th and ended on the 23rd. 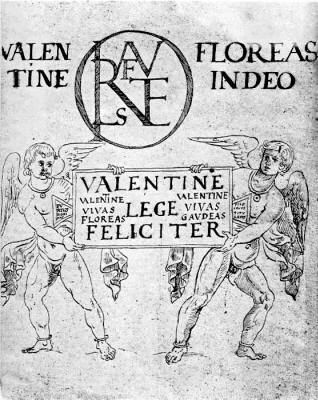 Hence, a "winter solstice" birth as asserted for a number of gods would not necessarily be celebrated on those exact days or even on the more commonly accepted date of December 25th, which signifies the end of a three-day period of the solstice - meaning "sun stands still" - as perceived in ancient times. In this regard, the winter-solstice birthday of the Greek sun and wine god Dionysus was originally recognized in early January but was eventually placed on December 25th, as related by the ancient Latin writer Macrobius (4th cent. ad/ce). The winter sun god is born around this time, when the day begins to become longer than the night. In 275 ad/ce, December 25th was formalized by Emperor Aurelian as the birthday of Sol Invictus, the Invincible Sun, and it is claimed that Aurelian likewise combined the Greek festival of the sun god Helios, called the Helia, with Saturnalia as well to establish this solstice celebration. The highly important Mysteries of Osiris, which begin on the 14th of December and end with his resurrection on December 26th, follow a winter-solstice pattern similar to the Brumalia, Saturnalia and Christmas celebrations. 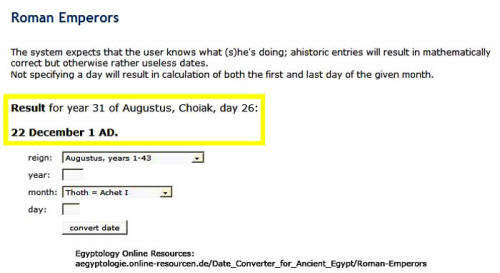 The facts that this period comprises several festivities having to do with the passion, death and resurrection or rebirth of this prominent Egyptian sun god, and that the dates for these mysteries happened to correspond to the winter solstice when the wandering Egyptian Calendar was finally fixed, are extraordinary. How Far Back Do Winter-Solstice Celebrations Go? 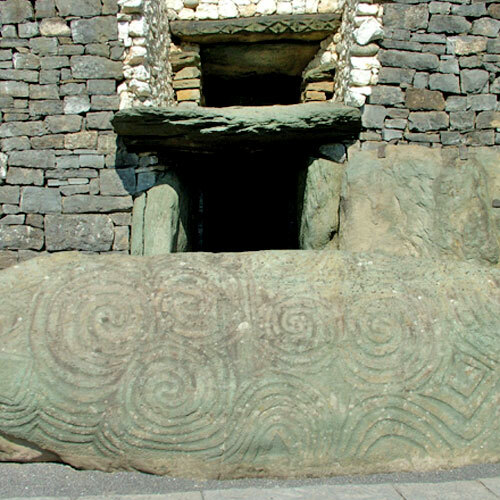 In "2011 Astrotheology Calendar," the month of December is illustrated by the "passage tomb" at Newgrange, Ireland, which is oriented to the sunrise on the winter solstice or around December 21st in the Gregorian calendar. This tomb - which has also been called a "temple" based on its evident importance - is guarded by a large boulder with spiral solar symbols and dates to around 3200 BCE. The winter-solstice sunrise at Newgrange sends a shaft of light down the cruciform corridor and chamber. This ceremony is believed to signify the "return to life" or resurrection from the death of winter. In this sacred site is thus a 5,000-year-old "cross of light" representing the resurrection to life or rebirth on "December 25th." "In the sacred site at Newgrange is a 5,000-year-old 'cross of light' representing the resurrection to life and rebirth on 'December 25th.'" 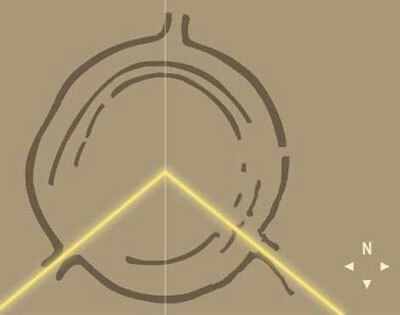 There are many other archaeological sites globally that are astronomically aligned, particularly to the winter solstice, some even older than Newgrange, such as the wooden circle or "henge" at Goseck, Germany, which may be 7,000 years old. The building of such astronomically aligned edifices, which are widely understood to be "temples" of a sort, indicates that the ancient astrotheological motif of the sun god's birth at the winter solstice is at least that old. Moreover, there is evidence that this solar observation is much older even than that. The suggestion that the winter-solstice celebration by human beings in several parts of the world, particularly in the farther northern reaches of the northern hemisphere, dates back to Paleolithic times and was part of religious "mysteries" even then is indicated by a number of artifacts, including the painting known as "Sorcerer with the Antelope's Head" from Les Trois Freres caves in the French Pyrenees. As I write in Suns of God, these caves were occupied during the Magdalenian period, 10,000-16,000 years ago, although mythologist Robert Graves dates the paintings therein to "at least 20,000 B.C." In Prehistoric Lunar Astronomy, Indian scholar S.B. Roy theorizes that these paintings are representative of secret deposits relating to the mysteries, remarking that they would "necessarily be performed at a particular auspicious moment," upon which their potency would depend. This auspicious moment would be dependent on the solar and lunar phases, as well as the seasons. As I also relate in Suns of God, Roy further posits that the antelope-headed "sorcerer" was "a figure marking the onset of a season." 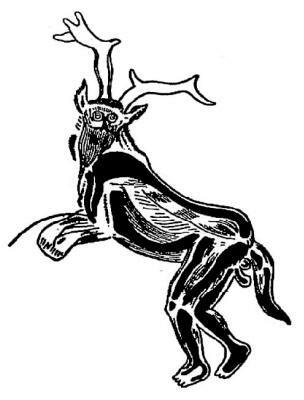 The reasons for this assertion include that the "remote traditions" in the Rig Veda and in Vedic astronomy relate that the Stag's head represents the star L-Orionis and the winter solstice at the new moon, as well as the summer solstice at the full moon. Roy concludes that the sorcerer figure "marked the winter solstice," which was "a great day in the Ice Age of Europe." 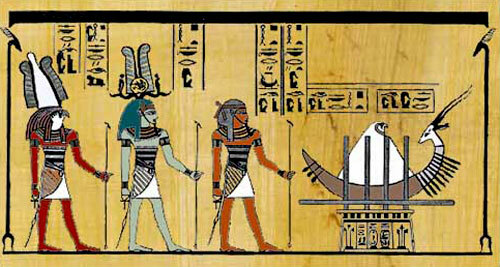 Based on the astronomy, the figure dates to 10,600 BCE. Thus, the winter solstice was an important factor in human culture, particularly that of the cold, northern latitudes, at least 12,000 years ago. "'Christmas' is thus an extremely ancient celebration, predating the Christian era by many millennia." The winter solstice celebration that developed throughout much of the inhabited world has been handed down as "Christmas," i.e., December 25th, the birthday of the "sun of God." Acharya S. Suns of God: Krishna, Buddha and Christ Unveiled. Illinois: AUP, 2004. Herbermann, Charles G., et al., eds. "Christmas." The Catholic Encyclopedia, vol. 3. New York: The Catholic Encyclopedia Inc., 1913. Graves, Robert. The White Goddess. New York: Farrar, Strauss and Giroux, 1966. Mettinger, Tryggve N.D. The Riddle of Resurrection: "Dying and Rising Gods" in the Ancient Near East. Stockholm: Almqvist & Wiksell Internat., 2001. Murdock, D.M. Christ in Egypt: The Horus-Jesus Connection. Seattle: Stellar House Publishing, 2009. Murdock, D.M., and N.W. Barker. The 2010 Astrotheology Calendar. Seattle: Stellar House Publishing, 2009. - The 2011 Astrotheology Calendar. Seattle: Stellar House Publishing, 2010. Roy, Shashanka Bhushan. Prehistory Lunar Astronomy. New Delhi: Institute of Chronology, 1976.